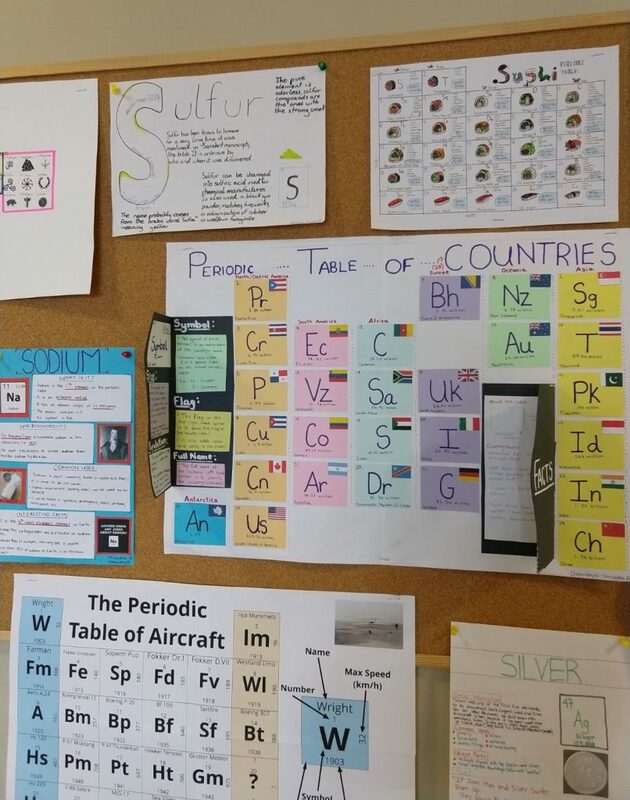 10th grade Chemistry Students recently completed their Periodic Table Projects. 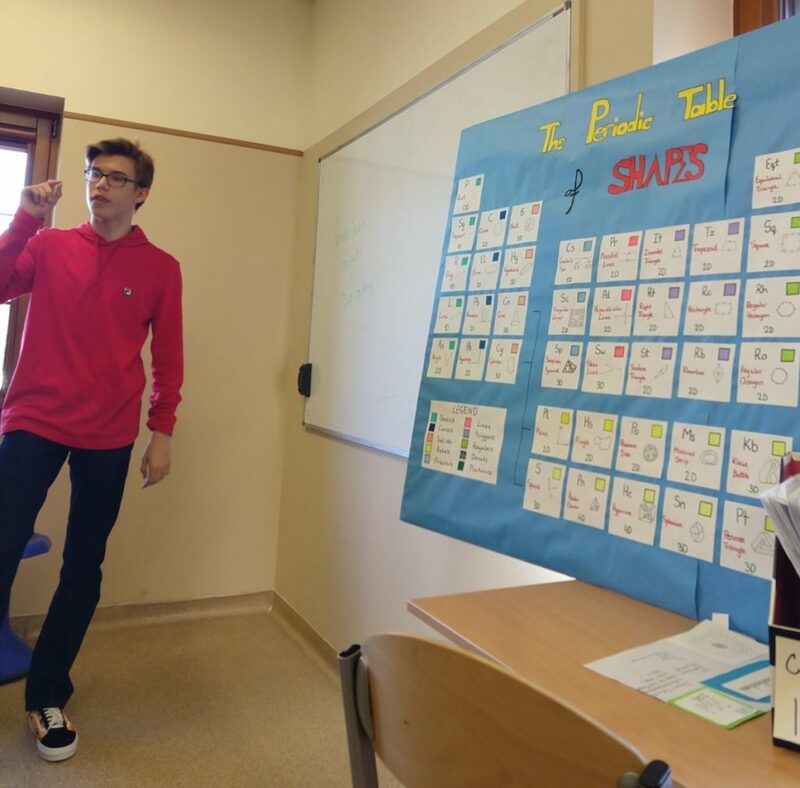 They were able to choose any category that interested them, and it was their job to figure out how to organize the items in that category into a periodic table format. 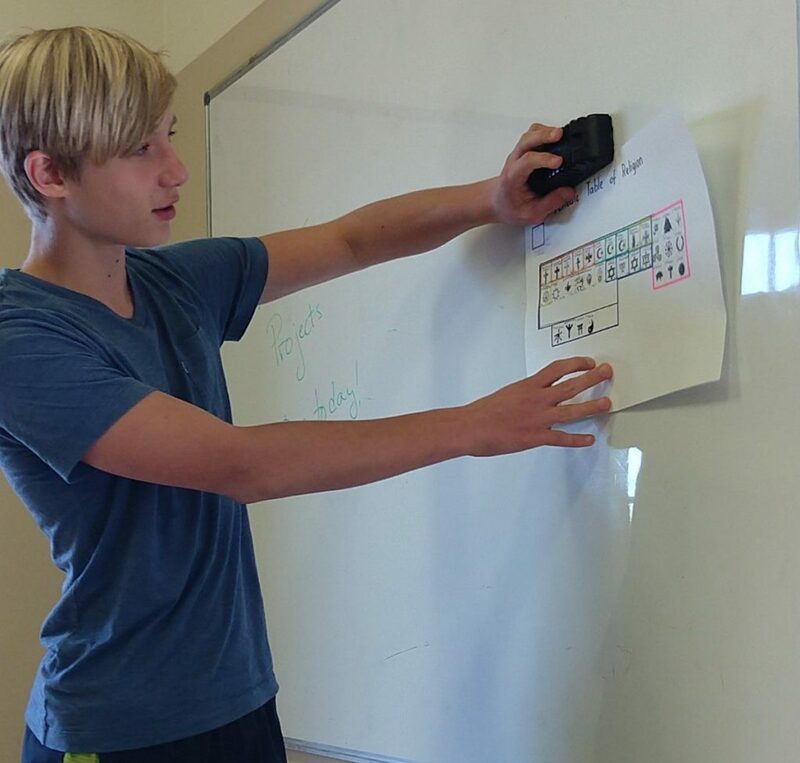 Students chose University Courses, Movies, Shapes, Religion, and Sushi, among other topics. 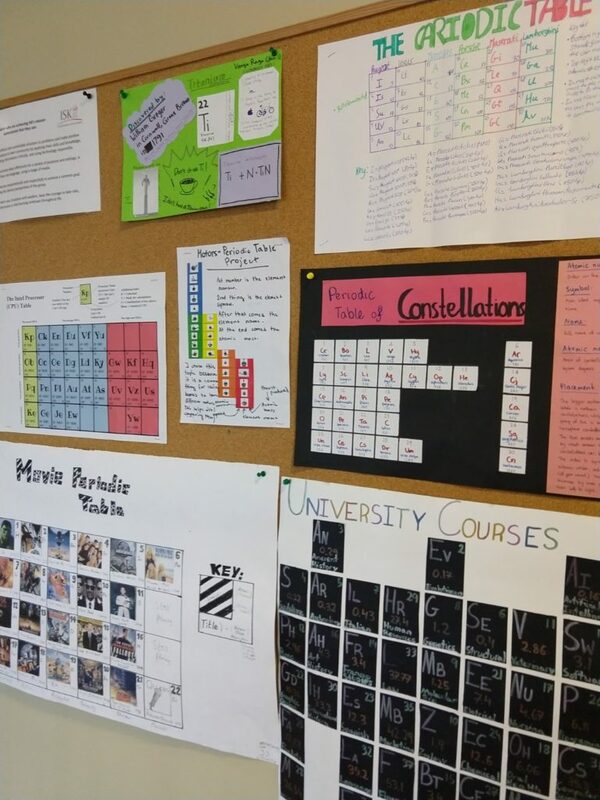 They showed great creativity and great knowledge of how the periodic table is used to organize elements by fitting the format to their own needs.